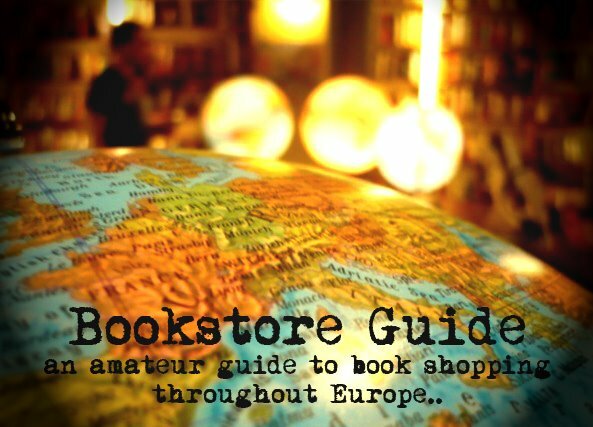 Christel said:"If there's one bookstore I should have to pick in Brussels, it's 'Filigranes'. It's open 365 days a year, you'll find books, magazines, music, a cup of tea or coffee, wine and book lovers all at the same spot. Of course, it's not as 'special' as Selexyz but you'll find 'a place to be' in multicultural Brussels." The first thing you should know about Filigranes is that the subtitle of their logo 365->365 actually has a meaning (probably not that hard to guess). Yes, this bookstore (considered by many to be the best bookstore in Brussels) is never closed. 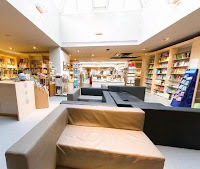 Filigranes is a primarily French language bookstore, but it also has a smaller English language section. The whole upper floor is dedicated to solely books in French - an what an impressive selection that is. The English section is located right, upon entering then down the stairs into something that used to be a vault. And although it's size is not that promising (the whole store occupies an impressive 1700 square meters...) the selection is very decent to say at least. Especially the fiction section goes well beyond the usual offer of bestsellers and recent releases.